What if I need material from another library? Is it possible to return items when the library is closed? Most material can be borrowed from the library providing you are a member and have a current Student, Staff or Library External Membership ID card with you. Long Loans: 14 days (except for full time postgraduates, master students and staff who get them for a little longer). 2 Hour Loans: All users can borrow/consult this material but it cannot be removed from the library. Restricted Material: Reference material, journals and some official material cannot be borrowed but can be consulted in the Library. Material not held in the library can be requested from other libraries on interlibrary loan. Requests can be sent to the following email account: loans@ait.ie. The library has a new Reciprocal Borrowing agreement in place with GMIT, IT Sligo and Letterkenny IT. A co-operative venture between libraries in higher education, health, and the public library service in the Midlands region. Log in to your "My Library Record". Select the materials you want to renew by checking the boxes in the Renew column and then click the Renew Selected button. If you want to renew everything, click the Renew ALL button. You will then see a "Renewed!" message. The new due date is in the Due column. If you cannot renew items, a "Not renewable" message will appear on the screen. YES Indeed. You can place a reservation or hold on any item which is out on loan to another borrower/patron. Check with the Library desk for more details or possible alternative titles if you are seeking material for a assignment with a looming deadline. It is library policy to invoice/bill for lost items. 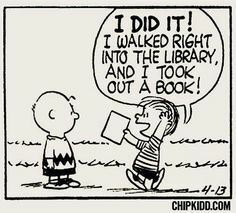 You can return books at the library desk or on the Self Issue Machine. If the library is closed then use the book bins outside both the Main and Nursing libraries. Please note that you are responsible for all material borrowed on your Library Account until the item is returned and cleared.